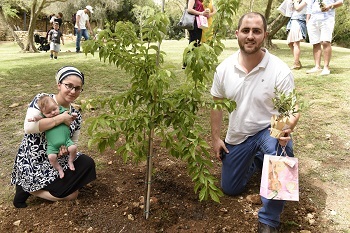 A Hadassah initiative helps mothers who have lost babies to find solace. There is a club that no woman wants to belong to. When approached, its members hesitate to admit a new face. None of us wants to be here and none of us wants anyone else to have to join us. We are the angel moms. We have lost babies during pregnancy, during birth or shortly thereafter. We have lived a hell that we wish on no one, and that no one who has not been there can possibly understand. To add to our pain, there is no shiva to help us process or cope with our loss and the chevra kadisha does not let us bury our angels or mark their graves. Most of us have no place and no way to mourn the deaths of the babies that we carried in our wombs for nine months, whose heartbeats we heard, whose kicks we felt, who we gave birth to, held, and named before having to say goodbye. But now there is a place for angel moms to go to remember our babies, to connect with them, and to hope for a brighter tomorrow. On Friday, April 8, 2016, the eve of Rosh Hodesh Nissan, approximately 80 angel moms gathered for an emotional ceremony with those who love them – their husbands, their parents, and many with their “rainbow babies” – so called because they bring beauty and hope after a storm. Nothing can erase the pain angel parents have been through, but rainbow babies – for those lucky enough to have them – remind us that something colorful and bright can emerge from the darkness. 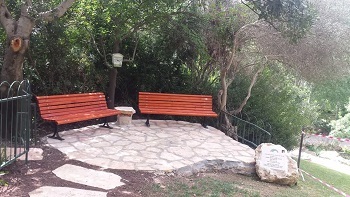 A new garden, complete with two shaded benches for picnickers, was installed at the Tisch Family Jerusalem Zoological Gardens and dedicated on Friday through the initiative of Hadassah to the memories of “our babies who were born still and infants gone too soon; with each of their deaths, an entire life was lost.” With assistance from the zoo’s gardener, the angel moms also planted a cherry tree in memory of their babies. “I have four children,” said Hila Cohen-Eiss, one of the driving forces behind the initiative, as she spoke before the crowd. “For the first time since my stillbirth, since I lost Yonatan, I am able to say that I am a mother to four children without feeling uncomfortable.” Hila went on to explain that after a loss, everything you knew in life, everything you dreamed, everything you thought to be true, changes. The feeling of empty arms never goes away. And the lack of recognition of our losses by the community makes the journey even more difficult. Alissa Greenwald, who lost her twins, Naava and Aminadav, four years ago. For so long we have been pushed by the religious establishment to hide our heartbreak, to forget about our losses and “move on.” Now, finally, our losses are acknowledged out in the open. Malka Nukrian, head midwife of the labor and delivery ward for high-risk pregnancies at Hadassah Ein Karem, has run more than 60 support groups for angel moms in Jerusalem since 2006. 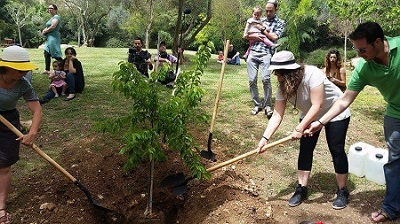 She says that the idea for the garden was formulated by women in her support groups over the years who were looking for a way to connect the memories of the babies they lost with continuity and the future growth of their families. This garden is a place where families that have suffered a stillbirth or infant loss can, in a way, be together and be whole. Rainbow babies can play and enjoy the garden while parents can have a sense that the babies they lost are there with them and have not been forgotten. At the ceremony, Renana Menkin, who lost her baby girl a year and a half ago, sang a song, “Kshe’akum,” “When I get up,” which she wrote about healing from her loss. and her absence, her memory, will not shrink within me. 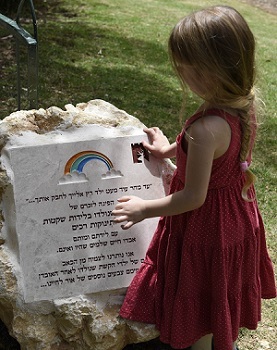 It is the hope of Hadassah and the women behind this beautiful initiative that when grieving parents do, in time, get up from their mourning, now they will have a place to go when they wish to reflect and remember the beloved children they have lost.